This smoked brisket recipe uses the melting fat cap to carry the flavors of fresh garlic, bay leaves, and black peppercorns into the smoking brisket. A simple marinade and a simple dry rub, along with the garlic and bay, flavors this brisket up nicely. Trim the thickest fat down to one-half inch thick, but no less. With a narrow bladed knife, puncture ten evenly spaced holes through the fat of the brisket, deep enough to insert the garlic and bay leaves. One inch should be deep enough. Into each hole, insert a lightly crushed garlic clove and a piece of bay leaf, along with a couple of peppercorns. Smoke the brisket fat side up. I like to use oak for smoking this one, and I try to keep the smokiness on the light side. The flavor of the garlic, bay and peppercorns will meld with the melting fat, basting those flavors into the brisket. Remove the bay leaves and peppercorns before serving. 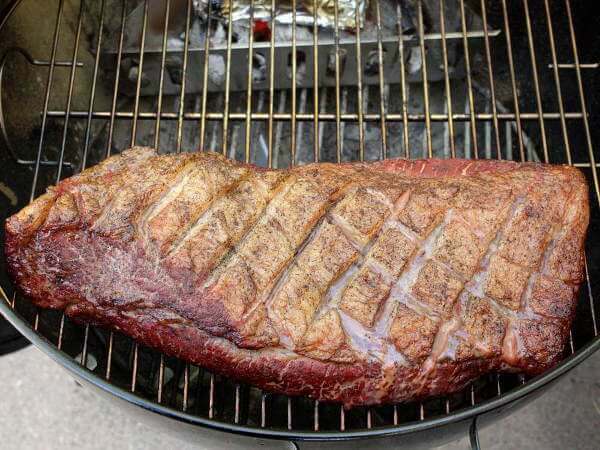 In my article about smoking briskets I explain the process from start to finish. Buying, marinating, seasoning, and smoking are all covered. Try this tangy horseradish sauce alongside your Peppered Bay and Garlic Brisket. Mix the ingredients about an hour before serving. 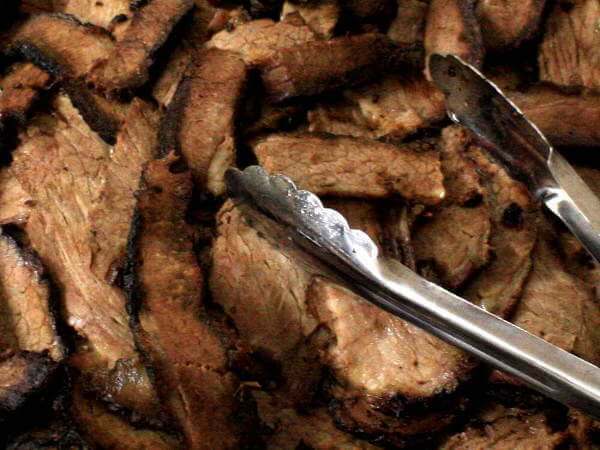 I think you will really enjoy this smoked brisket recipe. Add a garden salad, smoked taters, a jug of sweet iced tea and you'll be set!